You can now use the property advanced search page to export your filtered results to two listing stock reports in addition to the Excel, Word and CSV options available:- PDF Stock Report – one liner- PDF Stock Report – with photosThese are the same stock reports available from your Reports / Stock reports page. Filter areas, property types, statuses, price ranges, beds, baths etc and export the properties by selecting the ‘select to export’ option after you’ve done the search. We’ve made the process to submit support requests smoother with direct integration of a support request form in the OMS. It is also linked to our Knowledge Base, so will automatically suggest solutions on the right when you enter your request details. Our Knowledge Base is currently being overhauled so help solutions will expand over time – all aimed to assist you faster with any queries.The ticket is automatically assigned to one of our helpdesk consultants, ensuring the fastest possible way to get support. You can also use this for any sales related queries, it will automatically get routed to the correct people for assistance. 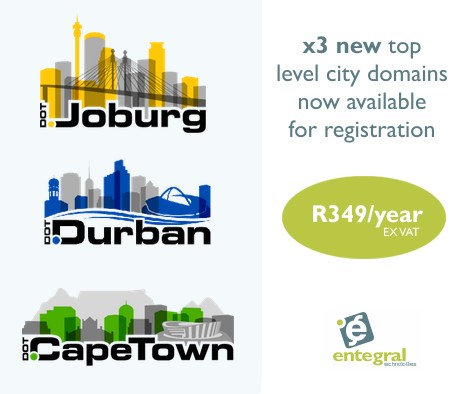 You can now register the following x3 new top level city domains through Entegral at the price of R349/year ex VAT: .joburg.durban.capetown The price includes hosting & management of the domain on our industry leading domain network that provides 100% uptime and load balancing features. Simply contact our support team @ support@entegral.net to request availability & register your domain names. If you have a website with us, you can link the domains at a once off fee of R99/domain ex VAT per domain to your website. Entegral is an accredited domain registrar for .co.za domains including the new .joburg, .capetown and .durban domains. 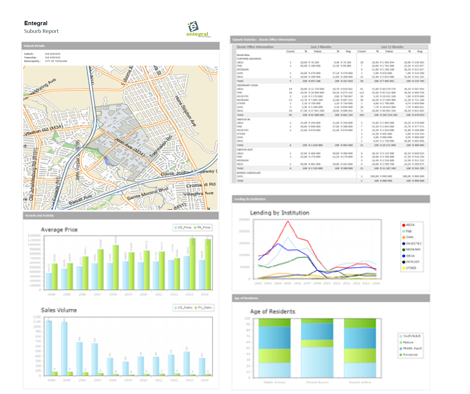 The OMS features integrated Property Intelligence Reports for South African estate agents.